Clubhouse 1 features a rustic “mountain lodge” design with a spacious full size kitchen, tables and chairs, and comfortable couches surrounding a large stone fireplace (a favorite gathering place for residents). 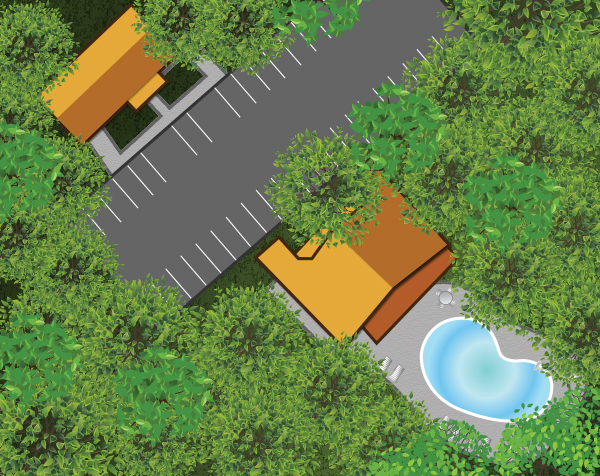 The secluded pool is lovingly landscaped, surrounded by a beautiful stone wall and scenic wooded nature trails. Clubhouse 2 favors a contemporary design, centrally located yet still surrounded by wooded serenity. 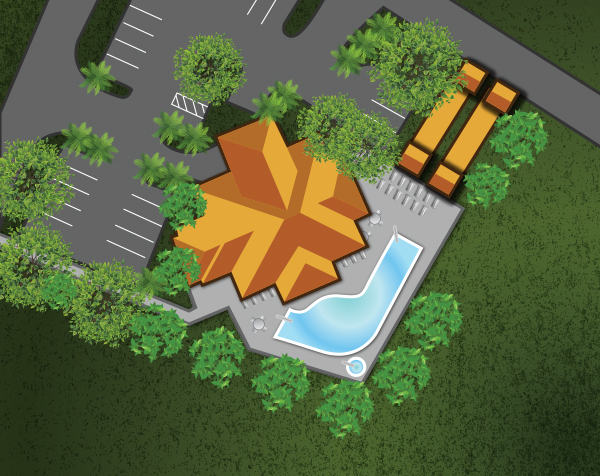 This center of activity features a large kitchen, bandstand, spacious dance floor, billiards, ping-pong, a video library (with two viewing screens), a heated pool and whirlpool spa. You may wish to enjoy the Florida sunshine on the tennis courts, play horseshoes, shuffleboard, or basketball. There’s just so much to do! The newest, Clubhouse 3, also touts a contemporary design with a spacious interior featuring a state-of-the-art fitness center, making healthy living easy, rain or shine! 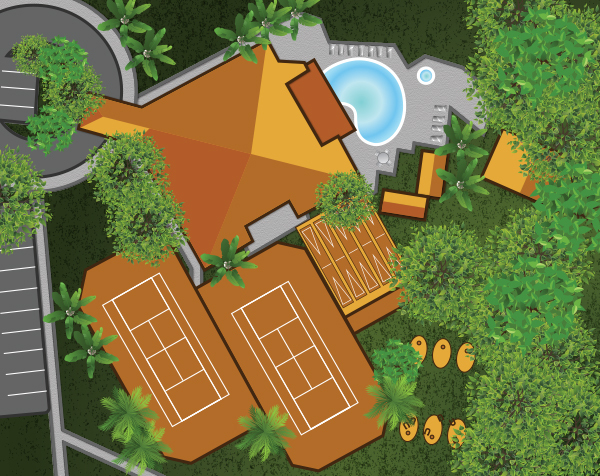 A large lap pool wraps around the back of the large clubhouse with a whirlpool spa that overlooks a serene lake.